I’ve been blogging professionally since 2007, but you don’t need to have a profitable site to learn the basics of blogging success. Even if you are just a hobbyist with a passion for connecting with your readers, you can benefit from these basic personal finance truths – all reinforced by your blog. One of the biggest excuses I hear for people reluctant to start blogging is that they don’t want to write when there is no one reading. Even if you have an audience of two, however, it’s worth it to begin right away. The same principle can be applied to most any personal finance goal. You have to begin saving for retirement with just a penny. Debt repayment begins with that initial on-time payment. Lesson tip: Just as every personal finance journey begins with the first step, so will a blog. Your first post sets the stage for the momentum you need to be a “blogger.” It’s best to start now, before you put it off any longer. 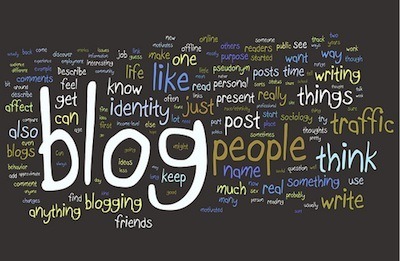 Once you begin blogging, you’ll hear all kinds of advice from other bloggers on how to do it “right.” Your blogging platform (WordPress vs. Blogger), the ad network you choose (if you choose to even host ads), and the content niche will all be commented on by anyone with an opinion on blogging. Similarly, personal finance boasts all kinds of money gurus with their methods of achieving financial freedom. “Skip the latte.” “Don’t eat out.” “Don’t invest in EFT’s.” “Pay for your kids’ college.” The choices, however, are yours and yours alone. Go ahead and do something completely different and bold. If it’s legal – and it keeps you in the black and growing your nest egg, it’s fair game. Lesson tip: The more you open your blog up for the public, the more unintended feedback you’ll likely receive. The same can be said for your money. If you don’t want others commenting on it, keep your mouth shut. Before you celebrate that super-high traffic streak, brace yourself for the rebound. Blogging is a fickle field, experiencing swings of 20% or more in visitors, profits, and publicity from one month to the next. You’ll probably guess that I’m about to say the same for finances… and you’re right. Even with a set salary, and a fairly static set of expenses, you can go from a stable personal finance snapshot to a dreary one in just a few weeks. It’s best to never assume that your luck will always be up (or down), and plan for the unexpected with a solid emergency fund. Lesson tip: The best bloggers have an arsenal of tricks designed to pump up the traffic, interest, and ad sales, if they need to employ them. Likewise, you should have some plans on the backburner in case of job loss, illness, or other unforeseeable bump in the road. In addition to that emergency fund, keep your resume polished, your connections tight, and always be marketing yourself for future employment and opportunities. There are many other parallels between starting a blog and managing your money, some of which are fairly straight-forward. Do you have one that you’d like to share? Thanks for the great post. From my perspective, writing articles for the past 10 years has definitely helped my personal financial decisions. Writing forces me to research, organize my thoughts and focus on what is important. This is a great article. I am just starting a personal finance blog, and these are some useful ideas to keep in mind as I try to grow my readership. Thanks! Linsey, I’d never stopped to think about the subjet, but you´re completely right with your arguments… and just as we usually compare personal finance to health and dieting, it works the same way with the blogging parallel. I think what has worked for me, both in my personal finance and in my blogging adventures, has been having the people most close to me involved, sharing with them the decisions and goals I’ve set for myself and whenever I’ve achieved something important. In my case, both activities relate to future wellbeing and I like to have my loved ones involved.